Build your own rating sign with a complete NFPA placard sign kit. Choose the material and size for your facility. 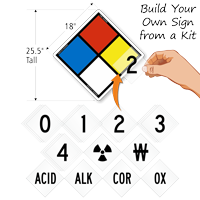 Sizes ranges from 8.5" to 34" tall, perfect for large tanks and drums. 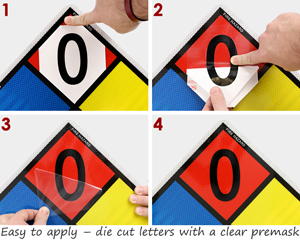 3M inks and films are the same used for municipal traffic signs. 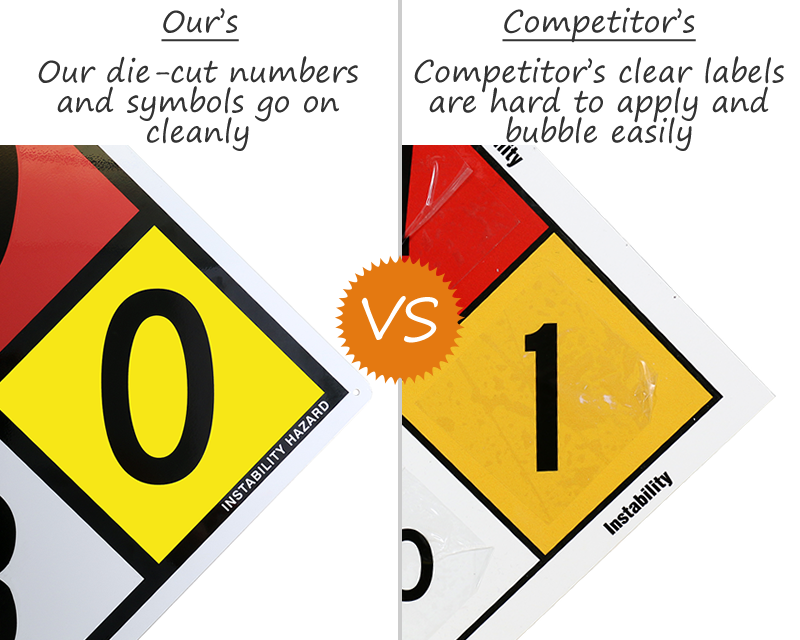 • In standard or high-intensity reflective, laminated vinyl, magnetic, and aluminum materials. 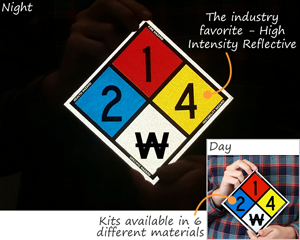 • Most safety professionals prefer high-intensity sign kits for terrific visibility at night. Bright ratings are easy to spot under a flashlight or headlight. 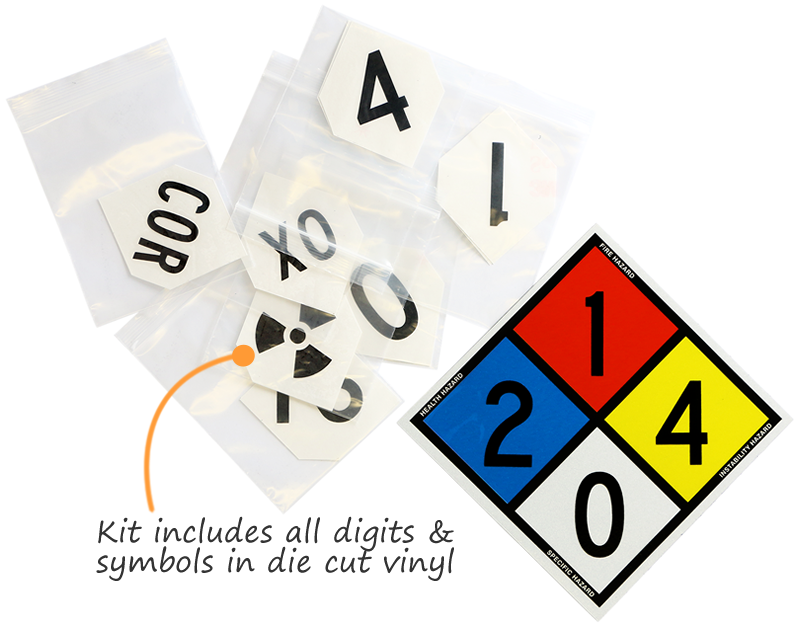 • Each kit includes all of the digits and symbols you need to build your own NFPA sign. Looking for a preprinted sign? Buy Now! quick shipping, nice looking sign.